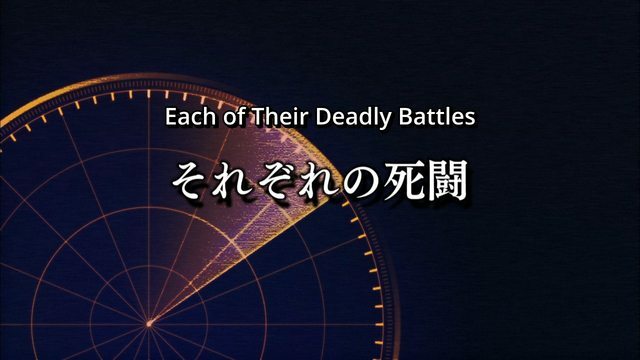 This was a doozy of an episode in terms of action. The rampaging Disas beasts in Naha truly made you understand why they were such dangerous foes. Mass concentrated fire being the only defense and even then, they take a lot of damage before one could take them down. Considering that we saw that the ‘final’ battle had wrecked M1 Abrams tank on the battlefield looking as if they were opened with a can opener, the magical world has lots of abilities our world does not. That doesn’t mean we have no ways of fighting back. 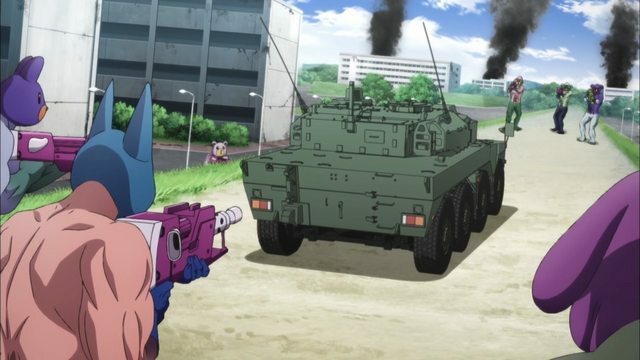 The Naha defenders, specifically M Squad, had in its disposal a Type 16 Maneuver Combat Vehicle. 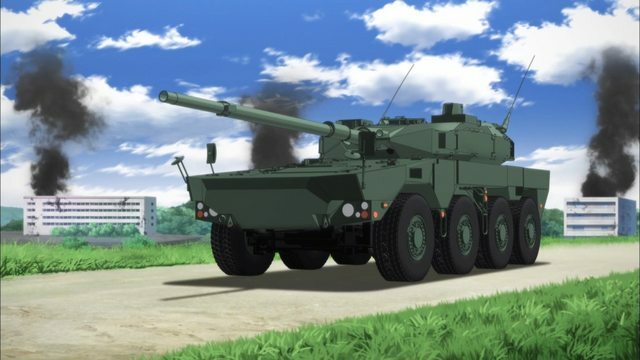 The MCV is the newest armored fighting vehicle in the JGSDF inventory and fills a niche that very few nations have, the tank destroyer. Off of the top of my head; France, South Africa, Italy, and the United States have weapons platforms similar to the Type 16 MCV, being wheeled armored fighting vehicles with a rifled main gun meant for quick direct fire roles. That said, be it no time or budget or both, I wished that the MCV was utilized more than twice. It has a 105mm Main Gun which should be useful against even shielded enemies, and even then, it is 26 tonnes heavy. Give it a good run up and the MCV could’ve run a few of the things over. 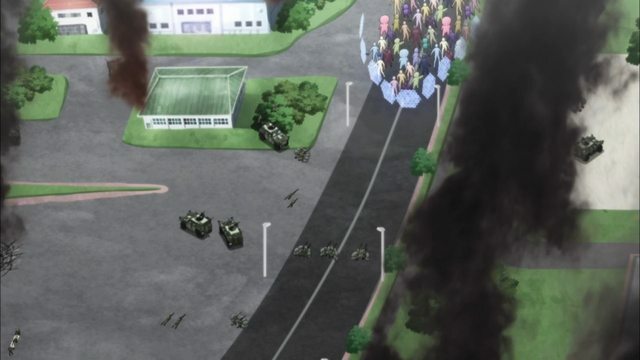 Admittedly they were stuck high on an embankment and surrounded, against beings that have greater maneuverability than it does, but to me it would’ve still been a valid tactic. Unfortunately, its destruction was the realization that things aren’t like before. The modified beasts are absolutely hammering the defenders, even Tamara is being put into hard situations. Mia fares no better, as she’s taken lots of hits and was nearly killed had it not been for the timely warning from Sayako. 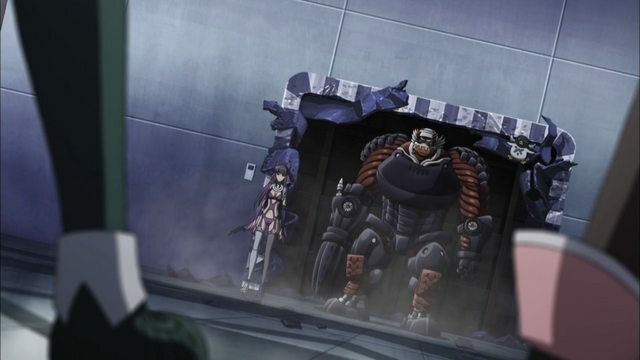 With Naha melting before the new Disas, Giess and Chisato enter the hangar housing the bridge and encounter Rapture and War Nurse. 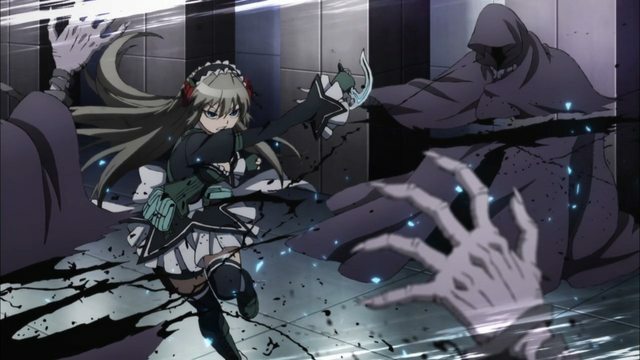 Giess manages to hold up Rapture using the summons that started the fight with their artillery spells while Chisato locks War Nurse inside a barrier to ensure she doesn’t interfere. 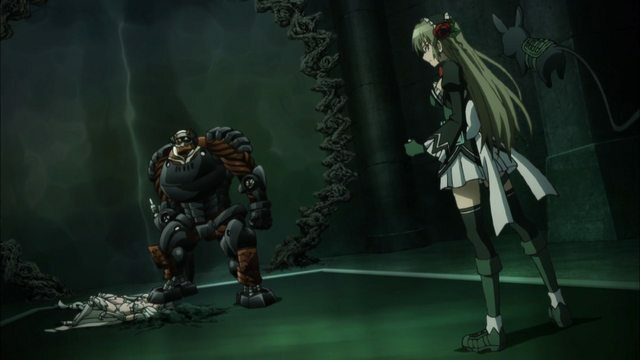 General Tabira’s dog-type adjutant/familiar was easily defeated by Giess, who was no Disas beast that it had ever encountered, and when Asuka finally was able to be freed from the entrapment with the help of a ‘magical grenade’ by Sacchuu, she came across Giess stepping on a dead or grievously injured Tabira. The eyecatch at the end of the credits and preview didn’t help at all, a pile of rubble with what seems to be Asuka’s arm sticking out of it. 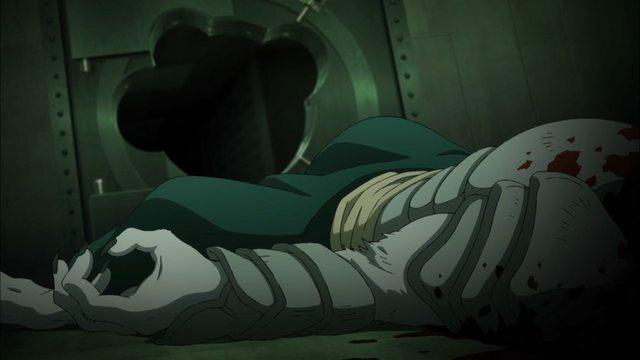 The episode was action and action, and I would like to point out some scenes that I remembered most since watching it. 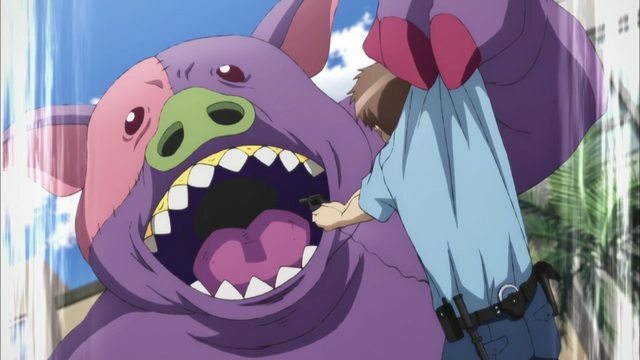 The scene in which the Okinawa Prefectural Police officer rams the Disas beast threatening Sayako and Nozumi was especially poignant, and I was a bit annoyed at the two as the man gave his life away to ensure they got away. 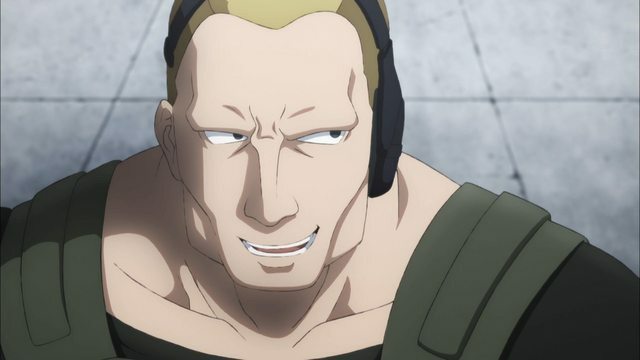 The panicked shots and eventual -crunch- of his death as the two ducked into an alleyway to escape highlighted the moments of heroism that went unsaid throughout Naha as the woefully unprepared Japanese police officers died by the droves to ensure at least some civilians got away. The other was the quick mention of the MORG soldier stating his dissatisfaction with the current times. He is a professional soldier in the post-Magical world. His skills, training, and equipment aren’t worth a hill of beans against the magically enhanced forces they’re dealing with. Of course he would only put Magical Girls like Mia, Asuka, and Tamara on the same group as the enemy that wrecked the world three years prior. It is only after Tamara saves him and his commander that he seems to be at a ‘come to Jesus’ moment. Tamara is asking the two Americans to rally the surviving defenders while she is off to defeat the remaining Disas ground forces. Injury and exhaustion is of nothing to her as she walks tall towards the fight. Different from the enemy before them. Now, I’m not too sure how long the show is going, but I’ve yet to see the Chinese magical girl, Lau Peipei. 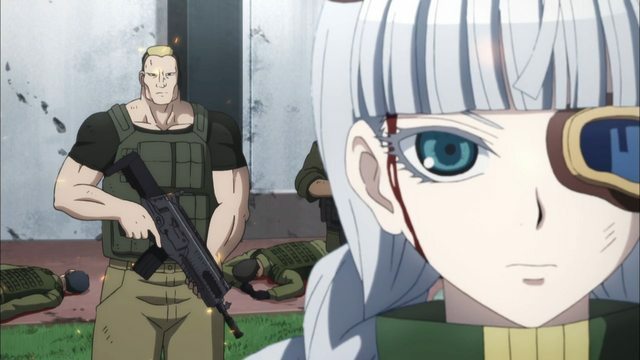 I hope we do see her, but if this is a standard 12-13 episode run, I’m not sure if we’ll ever be able to back track to the original plot of the Babel brigade creating illegal magical girls. So far we’re still in the Naha arc. I should really go and look into the manga. The game is quite much more refined than I ever remembering the first one was. I still repeat what I said last time, but now that the whole game is available, I’ve spent more time in the open world and there were a few points that I wanted to say while I’m rambling on. The game is not political in the sense that there are pointed narratives about the current political climate. Those who are saying so do so in the lenses of their own bias I would think. 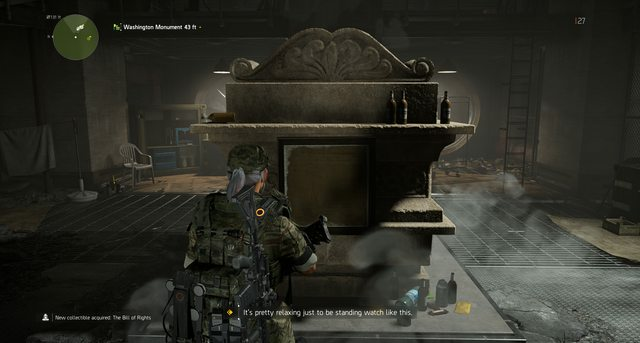 The game and even the marketing has touched on it but Ubisoft doesn’t seem to push further, much to the detriment of these types of people but to the relief of myself and such others who feared we might get lectured at why President Trump is evil. The game is focusing on rebuilding the government after a plague nearly wipes out the world. There are ECHO sites and phone recordings that touch on the world outside Washington DC and New York City but most of it is building the lore behind the factions and events of the Dollar Flu and resulting societal and government collapse. I think the riskiest thing they’ve done was note that Mexico was building a wall and closing all immigration from the US during the outbreak. Another point I think is something I tweeted about concerning what the writers seem to be playing up. The game is about you, an agent of the Strategic Homeland Division, a continuity of government sleeper agency, responding to revitalize Washington D.C. months after the Dollar Flu had decimated New York and the nation. The Declaration of Independence is hyped up, but considering the extraordinary judicial powers that Division agent have, the Bill of Rights is relegated to the basement of a former Division safehouse-turned-control point. 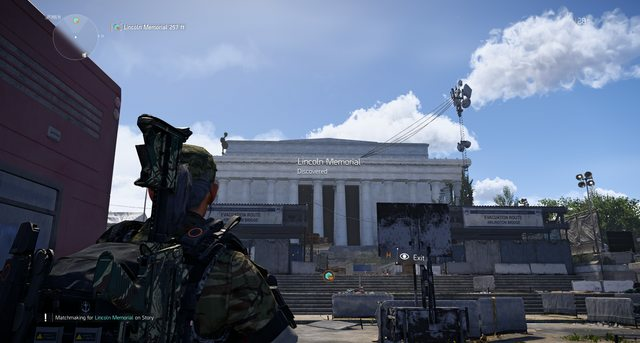 I just found it interesting, considering that I stumbled across an audio recording where your main NPC agent, Agent Kelso, seems to be recruited with the promise of extraordinary judicial powers and only reporting to SHD and the President. 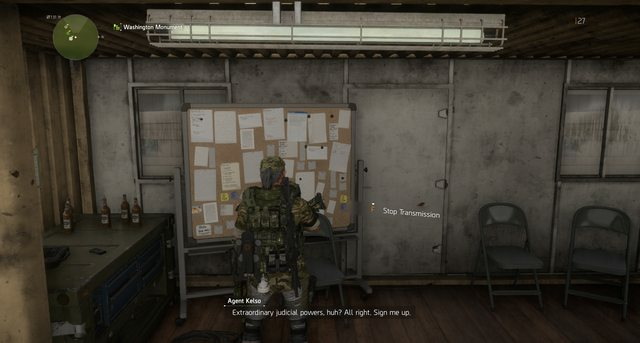 This entry was posted in Anime, Magical Girl Spec-Ops Asuka, Tom Clancy's The Division 2, Video Games. Bookmark the permalink.